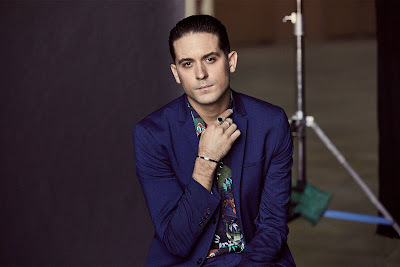 Gerald Earl Gillum born May 24th, 1989 at Oakland, California, better known by his stage name G-Eazy is an American rapper and record producer. His first major-label album, TheseThings Happen, was released on June 23rd, 2014 the album peaked at number 3 on the US Billboard 200. It featured the single “Me, Myself & I”, which reached the top 10 of the US Billboard Hot 100. Starting out as a record producer, G-Eazy began working on numerous singles while he was still a student at the Loyolauniversity at New Orleans with his producer Christoph Andersson who also was a student there. During his early years, he became a member of a local hip hop group, called "The Bad Boyz", who had released several songs on their official Myspace page. Here Dream Machine presents "Facts you didn't know about G-Eazy". Click Here if you haven't read our "Celebrity Facts" articles about Post Malone, XXXTENTACION, Lil Uzi Vert & Lil Pump. His father had an affair when Gerald was in first grade, from there his parents were divorced and him, his brother and his mother moved to Berkeley California to live with his grandparents. They later relocate to North Oakland after his mother entered into a lesbian relationship with a women named Melissa Mills. In G-eazy’s album “When it’s dark out” the track “Everything will be ok”, he tells about his initial confusion over his mom’s lesbian relationship. But this was something he would eventually come to understand, just accept and appreciate. In the 3rd verse of the track, he continued to tell the tale of discovering Melissa’s dead body in the basement from an overdose on drugs. G-eazy later stated “It’s a really, really personal story that I had never even told my closest friends ”. G-Eazy began making mixtapes at home with the aid of $150 mic, he would sell his mixtapes for $5 a pop along Telegraph Avenue but he didn’t earn much from those mixtapes. Later G-eazy dated a girl who had a car and he said “yo give me a ride to McDonald’s I am hungry”. 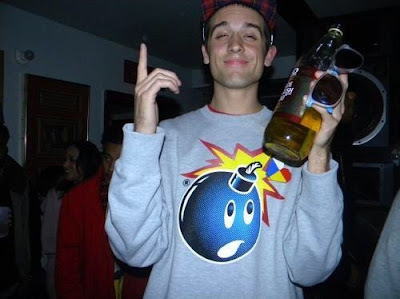 G-eazy started a top dog when he was 14, he never had a car so he used to go to work by bus everyday. He stated “That’s the only way we brought money in. If I wanted something, I had to work for it ”. G-eazy smoked weed for the first time when he was 12, and got drunk with a bunch of college kids for the first time when he was in the 8th grade. He lost his virginity in his teens on a park slide with an older women who was much more experienced. After school his mom would allow him to have his friends come over to record music at the house his group of friends later known as ”The Bad Boys”. There’s always a drinking and smoking weed session while recording music, but his mom allowed it. In fact his mom was his favorite smoking buddy. 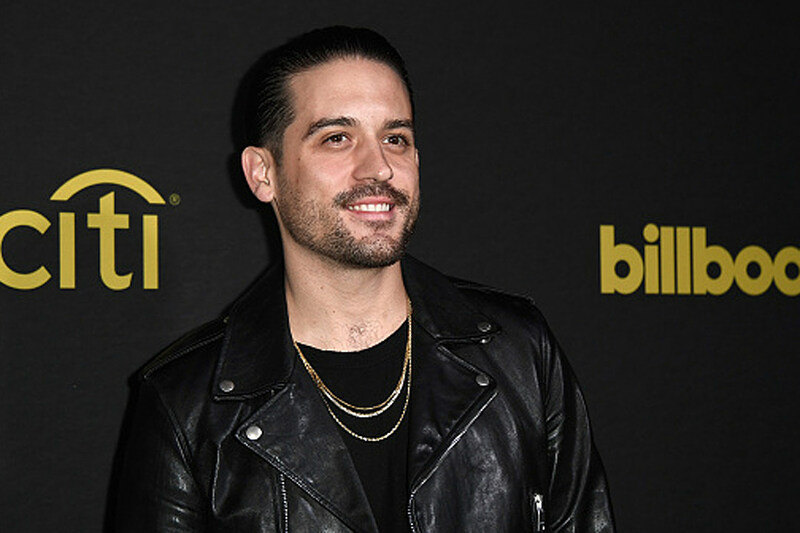 G-eazy stated that " my mom is my biggest fan and she listens to his music all day long, his mother was a big supporter for his musical pursuits ". G-eazy used to perform at local clubs and uploaded his free music on the internet to gain his fan following and achieving career longevity. He did his first tour in summer break during 2009 and he would travel from town to town via car. He maxed out his credit card on gas and used to eat only rice due to financial problems. In the middle of his career G-eazy flown out to Los Angeles and had meetings with RCA. He felt RCA will sign him but unfortunately RCA changed their decision and he was in big trouble. He had no deals, no money to flight back at home and at the same time he was getting threats from his professor that he was going to flunk out of school. Later he returned to school and reflecting on this experience he decided to take a new start and took inspirations from the artists that his mother introduced at first. He graduated from university and celebrated this by dropping his another mixtape “Theendless summer” in August 2011. 1. 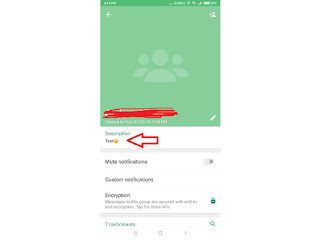 WhatsApp's new feature is in beta version, where user can add description to the group up to 500 charecters. This feature can used by both admin and group members. 2. Reliance Jio will invest Rs.10,000 crore in Uttar Pradesh over next three years, and Jio is one of the largest investors in Uttar Pradesh with investments over Rs. 20,000 croce. 3. Internet now has over 332.4 million domain names. As per employers ".com" & ".net" registrations reached over 146.4 millions. Symere Woods known as Lil Uzi Vert born on 31st July 1994, he is an American hip hop artist based in Philadelphia. He splits his time between his father and mother’s home who had separated. His mom worked as a nurse. Lil Uzi Vert was an attention seeker guy and never went to school regularly, he was a class clown and was not good in studies. He grew up listening to Beaini Sigel & State Property with his pops. His favorites were Paramour and Marylin Manson. He gained attention after releasing his debut single named Money Longer and several other mixtapes including Luv Is Rage, Lil Uzi Vert vs The World and The Perfect Luv Tape. 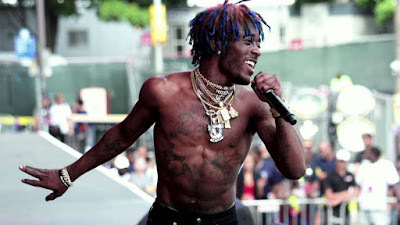 In August 2017 Lil Uzi released his album Luv Is Rage 2, which reached number one on Billboard 200 Album Chart. 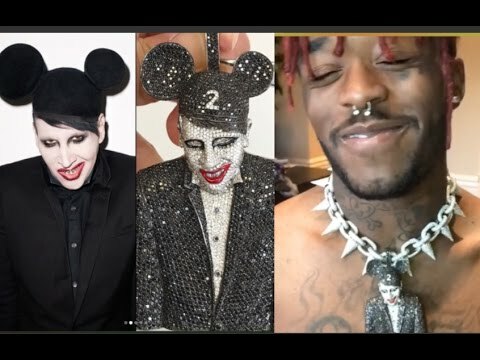 If you haven't read articles "Insane Facts about Lil Pump, Post Malone and xxxtentacion" Click Here to read. Symere was looking for a unique name and when he started rapping, a man came to him and said “Dude you rap like a machine gun”, then Symere decided to opt a name mini machine gun that is Lil Uzi. And he always wanted to jump higher (earn money & fame) so he decided to attach Vert with his name, Vert stand for a vertical jump. So this is how the name Lil Uzi Vert were formed. While Lil Uzi Vert was in school, a friend of his Williams Aston put out his freestyle on Chris Brown’s “Look at me now”, and that freestyle got viral over the school and Williams became more popular and he got lot of attention, Lil Uzi started feeling jealous from his success and he said I can rap too. After that he created his own freestyle with beats found on YouTube. From this stage he started rapping and Lil Uzi became the new star. Lil Uzi’s mom was very hard working women and she wanted him to focus on his studies instead of rapping but as I said in the intro, Lil Uzi was no good in studies and he used to roam outside the school. 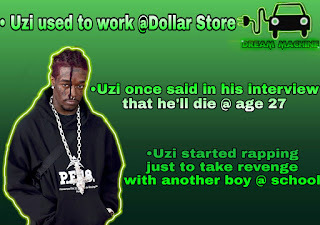 Lil Uzi Vert worked at Dollar Store as a stock boy, but he was not for the job because of his behaviors and he quit the job and his mom decided to send Lil Uzi to his grandma’s house. After being kicked off from Dollar Store, Lil Uzi’s mom decide to send him to his grandma’s house. Lil Uzi Vert’s grandma was supportive to his rap career and she felt that he can create good music one day and his grandma gifted him an album “Wanted” by Mike Jones and Bow Wow and Uzi loved that album too much. When Lil Uzi was 6/8 years old, he used to watch TV Show named Celebrity Deathmatch. It was an animated TV Show where all the celebrities fight with each other. There was a match between Marylin Manson and Ricky Martin and from that match he loved Marylin Manson and his music. In an interview Lil Uzi Vert said that “he’s my father he’s like God for me. I’ll leave the Earth for this man (Marylin Manson) at the age 27”. There are many conspiracy theories outside that he sold his soul, he is devil worshiper, he singed book of the beast and all. 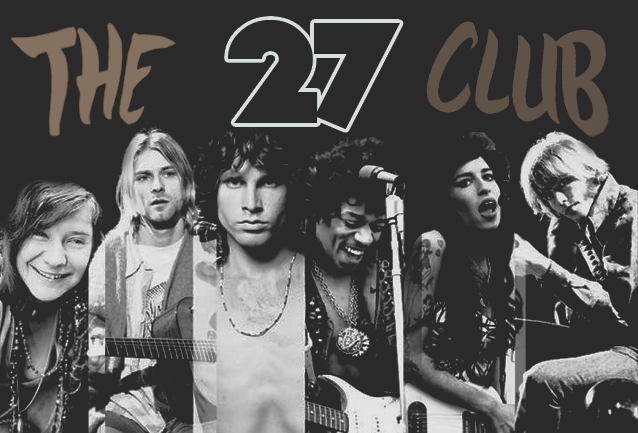 But he specifically said that he’ll leave the Earth at the age 27, there’s a concept or an idea of The 27 Club, where artists like Kurt Cobain, Amy Winehouse, Jim Morrison died at the age of 27 and this concept became more popular after the death of Amy Winehouse, Click Here to go onto the interview of Lil Uzi Vert (Skip the video to 2:43). 1. Google Map will give you notification even your phone is on lock screen, if your travelling through public transport and by the time you fall asleep then don’t worry Google map will notify you that “your next stop is coming wake up”. 2. Japan is going to pay Bitcoin to their employers from their 1/4th part of salary, Japan is looking much forward in Bitcoin. If price of Bitcoin increases then employers will get more salary but what if the price decreased. 3. 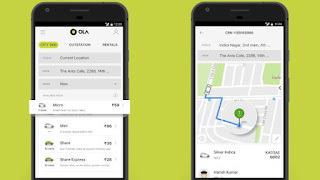 Ola launches its “Lite” app version that weighs 1MB only. 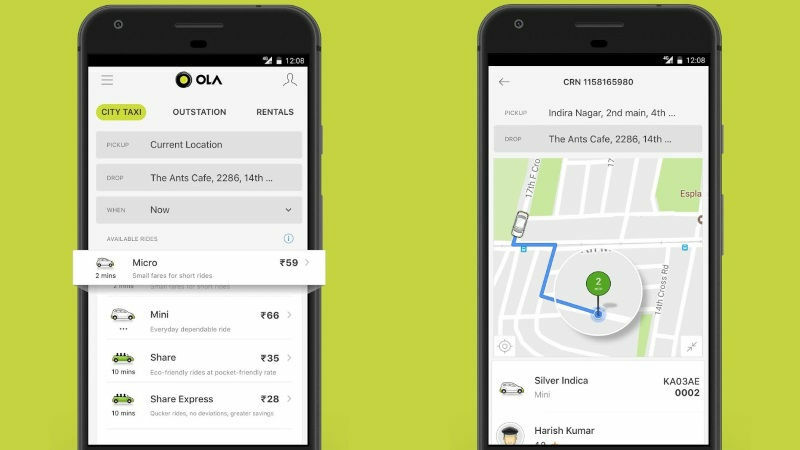 In India number of Ola users increasing day by day and they need to come up with new ideas like this.